Other 3D models because of the lack of PBR, no animations/objects in the VC, no truelight and glass. These are just a few examples that show how much a difference P3D v4 already makes when compared with 32 bit. All this, and more, must be rewritten/left out and that costs manpower/money. Look, both Mathijs and I have explained this in great detail, and in my post on this subject I explained that it's NOT UP TO US. If you want to work towards our being able to release the A330 for FSX, then you need to start a movement to get people to leave P3D and return to FSX. By the way... I don't believe it was ever promised that we would develop the A330 for FSX. All I recall us saying is that it was possible so long as the market supported the costs of our releasing for FSX. It really seems to me that you want us to engage in a project without first considering that we might loose money on it. That is not only completely unreasonable, it is also trolling, whether or not you intended it as such. Again, the decision on a dumbed down version for FSX hasn't been made, and won't be made for some time to come. That's the truth, and I don't know what else I could possibly tell you that I haven't already explained. In the end, we want to do what our customers want, but we also have to operate the business responsibly. It is Mathijs's post to which you referred that drew me to the conclusion that there will NOT be an A330 for FSX. You can draw all the conclusions you want but in the end, the decision will be made by me based on a spreadsheet when the time is ripe. I suggest laying this to rest as there is nothing sensible to be said about this anymore. how long will he stey A330 in the Beta?? I understand you like a release date but I am simply not able to give that at this moment. The whole team is currently busy closing the known issues on the A320 series and most of that code is already prepared for the A330 (it's basically only config files that are different). At the same time modeling has to be completed and the Connected Flight Desk system has to be implemented. All in all a lot of work to be done and it is all work that is very very hard to schedule. At the same time, I am negotiating some professional (for real training) deals that could affect the whole process. So nothing sensible can be said, but the release is not close. One question on that, I couldn´t find using the search function: You´ve released the A320 professional series without the connected flightdeck system to make sure you can release the Airbusses now, continue work on the CFD and implement it afterwards. Will you also do the same with the A330, so release first with the CFD to be implemented in a future update, or will you wait with releasing the A330 until CFD is ready for it and implemented? Can we expect the A330 to come with PBR out of the package? When it is ready for the A320 it is ready for the A330, 100% the same code. Hoping for A-330 to be released for FSX 32 bit system, I am afraid at this rate the way A-330 Is being developed, even P3D will be extinct by the time the airbus is released. I would like to hear would A330 also have this call out: 70...60 ft when you go in for landing? it's been a long time since this system was implemented, but if I'm not totally mistaken there was a 2D MCDU option implemented to disable these. They're optional on the real plane and indeed not many airlines have them. Mostly those who regularly fly to airports with many different angles of descend on final approach have them to give pilots a better ability to get the mental picture just before touchdown on steeper glide slopes. ou say there was a 2D MCDU option implemted to disable these callouts for Aerosoft Airbus Family Pro (P3Dv4) or in the aircarft in the real life? Not for the pilots. Technical personal can ofcourse install/activate (pins) these options. If it's not in the real A330, it won't be in this one. How can you be sure about it??? Because nor is it in the real A318, A319, A320, A321, and nevertheless have Aerosoft given their Airbus Family Pro this Callouts: 70...60 ft before landing. Okay I understand but if it is optional why have Aerosoft don't do them optional for the new Airbus Family? I understand well that they have done it well. But if could escape hearing 70 and 60 ft as callout would I be happy. The short and easy answer is because the FMS we modeled had it active. No promises, but we'll try to look at making this optional sometime down the road. In the meantime, if it bothers you THAT much (you know, affecting your sleep, causing you to be irritable at work or school, in flight sim forums, etc. 😉) then you can try deleting the sound files for these calls outs. Just be sure to back them up. No, I'm not going to tell you where or what files they are, let the Easter Egg Hunt begin! (Actually, it's pretty simple to find and identify them, and doing so will help some folks to understand the inner workings of flight sim aircraft). The plane will have custom sounds mod? What do you mean by "custom sounds mod"? The sound pack will be developed by TSS, as far as I remember. Sorry if this is already awnsered but is this the A330? Please read one page back. I am negotiating some professional (for real training) deals that could affect the whole process﻿. I know you guys don't have a release date yet. Just wanted to know if you can estimate in which quarter it will be released. Btw amazing work!! Please see the thread below (appies to days, weeks, quarters, etc.). Let's all get a beer and calm down. As there is no news to report and I think there are no open questions I'll lock this until Monday to cool down. Depends on your point of view. "Good" in that commercial customers are always highly prized in a business like Aerosofts, "bad" in that it might cause a delay in this product because commercial projects frequently/usually have a higher priority than consumer products. That's true of almost any business BTW. and... if I may, it also helps Aerosoft to keep consumer products at a lower price than otherwise might not be possible. Thanks, Dave. Another way the commercial products help is at least one airport that otherwise might not have been done was done and in detail for a commercial customer. Once the commercial project was complete, it was relatively easy to port it over to a consumer product. It is a long time since I written one of my Friday evening chats where I try to explain what is happening with our projects while drinking a glass of wine. Well, it is Wednesday but after 1700 so I got my glass, the new album of Joe Jackson (yes I am that old) on the stereo and some information to share. Basically, it was very hard to keep you fully in the loop because there were a lot of things I could not speak about, and there are still a few I can't, but today we had a big meeting to align all eyes and it's time to explain some things. First of all, we do not have new images of the A330 because modeler Stefan is working on another project. That's one of the things I am not at liberty to speak about. It might come to your sims, but it just as well might not, time will tell. In the timing, it all does not matter a lot as I will explain. The 'not to be named project' is a big deal for us, both in growth for Aerosoft in new ways and also financially. The developers Baylan, Frank and Robert were still basically working on the A320 platform. Now, this is a fuzzy statement because 95% of the code they are doing for the A320 series is part of the A330. But apart from some issues, I will discuss later, the issues they were working on were getting smaller and smaller. Bugs with the chrono starting at every startup tweaks to the many printouts we now have etc. All stuff we like to close but not things that spoil the flights. So today we decided to switch the focus fully on the A330. When Frank installs the chrono in the A330 he will solve the open issue. So all these smaller issues will all be picked up and solved in the ongoing process. We have a solid bug tracker that has over 500 issues we like to look at. When these fixes are done they are automatically exported to our A320 series. Almost all of our code is built so it works for A318 all the way to A330 exactly the same and uses config files to set different parameters (just as Airbus Industries does it). When they are more than just a tweak we'll send them to you. For example, the moment the PFD we want to rewrite for many reasons is done you'll get it. This means the idea of a fixed SP1 is gone. I much rather send out what we have and not keep it on our systems until it is all done. 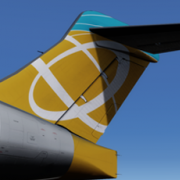 For example, Connected Flight Deck, one of our core developments, has started performance testing today ( we need to know how many servers we need worldwide), the moment PMDG open up their server for Global Flight Operations we will have the client and share it, etc. You will hear a lot about Connected Flight Deck btw, not just from us. So what does this mean for 'the schedule'? Well in my calendar it means we are fully on track but my calendar is rather fluid, it has to be. What it means for you, customers is that you will see a rather steady flow of new features added to the busses, slowly a lot of smallish issues solved and hopefully some large issues solved soon. Because for some issues we have not changed focus. We are slowly getting a better idea on the causes of the big issues that happen to some people and we are hard at work trying to think up ways to solve them. These are mainly related to the vertical path following at this moment. We now can recreate most of these issues so we finally can get serious about them. These issues are not moved to the A330 development path, they are on the front burners now. In my experience, a post like this will make almost nobody happy. I don't give a date for the A330 and the bug you find almost impossible to live with seems to be shifted forwards. We know that if you take off from a high alt airport, at high temps at the southern hemisphere things are not as they should be. But if there is one thing we learned in this looong development it is that a real Airbus is not the near perfect machine many simmers seem to think it is. You know what pilots do when the aircraft does not slow down as it should at a waypoint (could be a database error or a logic error)? They switch off the AP and AT and fly the aircraft. Show me any Airbus pilot who thinks the computers can fly better then he/she can and I show you a pilot who needs more experience. We have hundreds of photographs of ECAM pages that are just whacky or ND displays that show a path not even an F35 would be able to fly. Now please, do not ask for a release date of the A330 because I have no idea. Honestly, no idea. We release when I feel comfortable and when my CEO does not kill me and my devs do not tell me I am out of my freaking mind. At least you now know as much as I am able to share. If you have questions you think I can answer, please ask! My answers will be as open and honest as possible. Just not about a date, week, month, quarter, year, decade ok? Thanks for the update Mathijs, much appreciated.